There are two major characters that can be found in the correctional facility: the prison officers and the prisoners. And their interests, both personal and organizational while intertwining are seemingly pitted against one another. Conversely, they must compliment each other as regular member of humanity; but their respective situation divides them accordingly. Sometime in the past, the principal persuasion of a prisoner was to evade his custodian and if given the chance, to escape or just vanish in thin air. On the other hand, the prison officer must as a rule watch over his captive subject and if at all forced to respond, would deal with deadly force any attempt at evasion. That was before when there was no decent rule to get by; when the only prevailing dictum was for a prisoner to languish in a place directed by the courts and for prison keepers to see to it that the place was never disturbed at all. Riots and unrest were the order of the day then. And then there were changes. The entry of political prisoners would transform institutional immersion from hazardous to something philosophical. Imprisonment would even be considered as a badge of honor for some, as blemish for poverty for others and as a form of injustice to some. Only a fraction would be deemed worthy of the penalty. Contemplation took over indignation. Everyone would be enjoined by the community towards reflection. While there were pockets of abuses coming from different sectors in the prison community, the general atmosphere was more meditative. It was during this era (1977) that I would be recruited in the prison service. There was lull in violence. There was momentary silence from gang inspired trouble. There were at times exceptional horrors and hostilities but these would fade as time goes by. The prison environment had known equanimity and calmness from all corners. There were shades of repentance and understanding. Maturity of the incarcerated humanity has come of age. 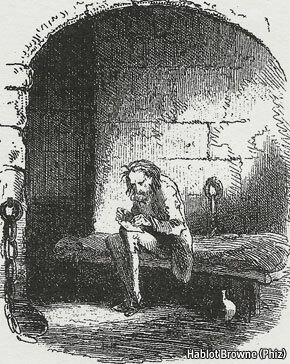 Patience and understanding were attributes which almost all prisoners would exhibit in their highly routinely defined lives. I would likewise take note of those prisoners with penalties of life imprisonment or reclusion perpetua serving time for more than two decades also. This is unusual unless the courts have included in their dispositive writs that the penalty is extended to bar the convict from seeking parole. Only a few verdicts would have such exclusion. Those with singular life terms as penalty may be able to seek presidential mercy after serving continuously for seven (7) years with good conduct and without any derogatory institutional record. Said seeker as a matter of personal concern must have to prepare a Petition for Executive Clemency citing his situation, health, conduct and period served with repentant pleas and affirmation of change. Without petition as basis for a chance to redeem freedom, a life termer continuous his service of time. As a consequence, a life termer accumulates a period for more than two decades even. As it were, there are even cases where there are those who would become geriatric virtually within a regime of incarceration, fairly destroying their sense of independence having lived through total dependency on institutional routine and obedience. I have seen prisoners like these in the stretch of time I have been involved in prison work for more than a generation. Their humanity has faded already. For us, myself included, prison is where is time frozen, life made artificial, justice limited by technicality and love lost somewhere in a maze of legal jargons.